Habi lives with her husband and five children in Monpelghin, a very rural community in Yatenga Province, Burkina Faso. Their main source of income prior to Trickle Up was her husband’s agricultural activities selling crops at the market, which wasn’t enough to feed their family. 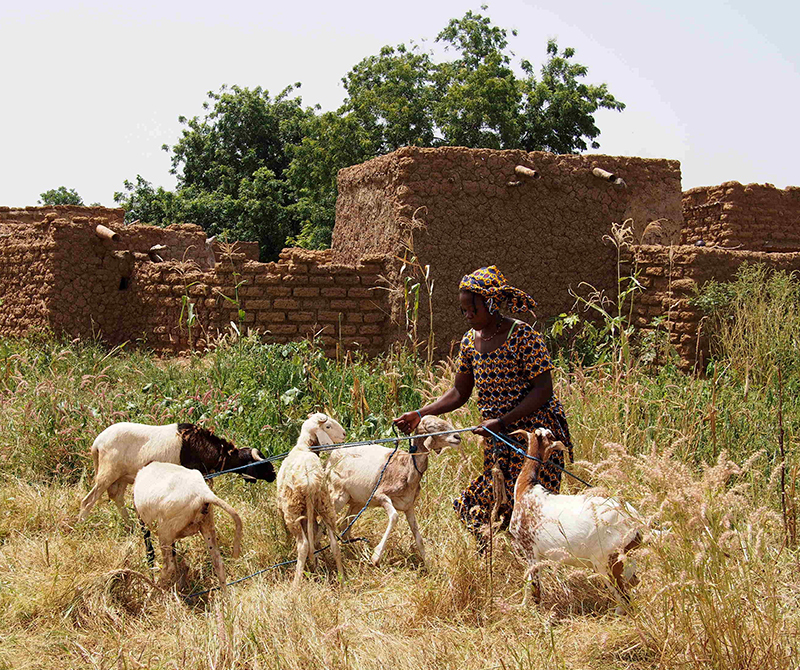 3.7X: Average increase in livestock (sheep and goats) ownership relative to a control group in Burkina Faso. 13% decrease in the number of households experiencing food scarcity relative to a control group in Burkina Faso.